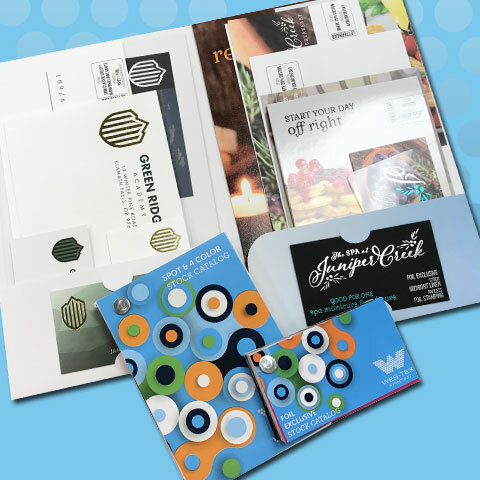 Our wholesale printing full sample kit is designed to make upselling easy—while inspiring and delighting your prospects. 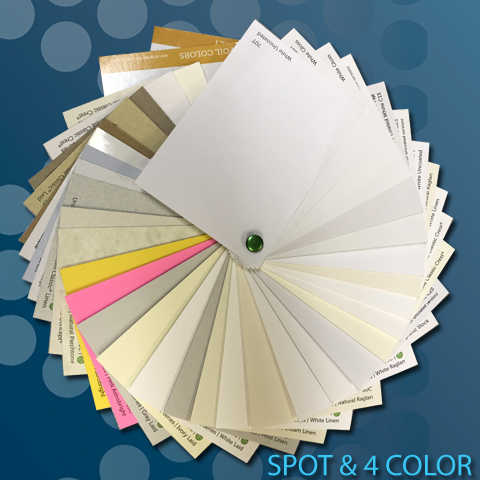 Each kit contains marketing materials for two sample brands—each with a unique feel. Your clients get a stylish and colorful demonstration of how our printing can highlight their designs. The kit showcases our most popular printed products, innovative custom work, and processes such as hot foil stamping, thermography, silk laminate, UV coating, 4-color offset, and 4-color digital printing. 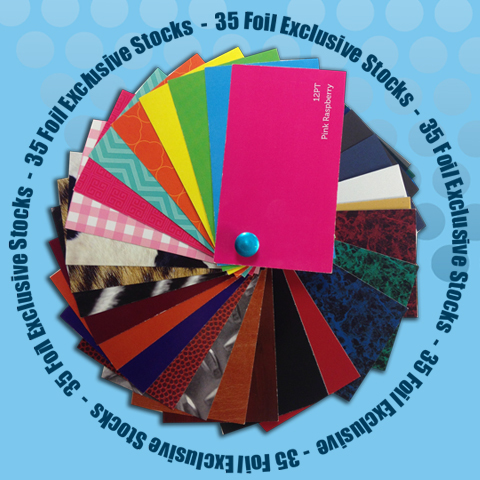 You also get our Spot & 4-Color and Foil Exclusive stock catalogs—so your clients and prospects can see and feel the full stock offering you can offer.